The many methods of quitting smoking include counseling and support groups, nicotine replacement therapy, prescription medications, and incremental reduction. The addictive effects of the nicotine found in tobacco have been well documented. Nicotine is believed to have an addictive potential comparable to alcohol, cocaine, and morphine. 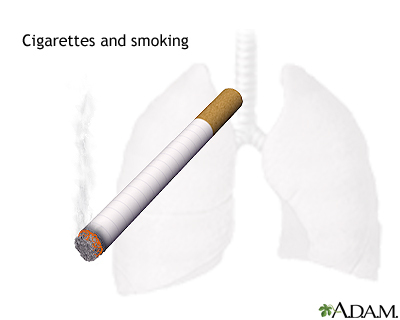 Tobacco and its various components increase the risk of cancer (especially in the lung, mouth, larynx, esophagus, bladder, kidney, pancreas, and cervix), heart attacks and strokes, and chronic lung disease.